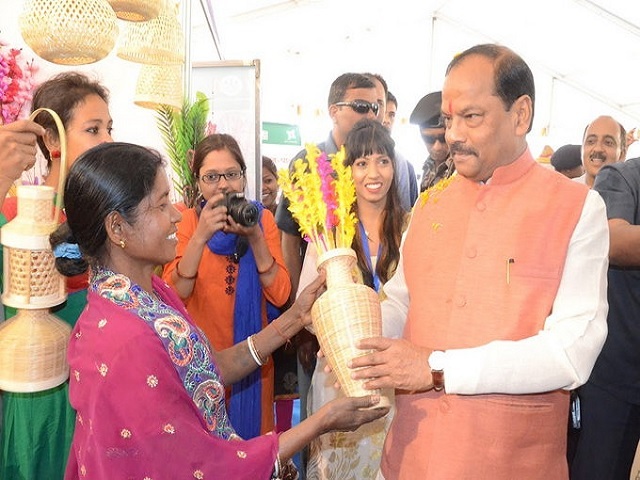 Jharkhand CM Raghubar Das Women’s Day Celebration mentioned the state government would give mobile phones to one lakh women entrepreneurs. “It will help in digitization and cashless Jharkhand. These female entrepreneurs are backbone of the villages,” he said at a programme here. Das also announced a Rs 600 crore Tejaswini scheme and Rs 1400 crore Johar project, a state government release said. The representation of women will be 33 per cent in Gram Sangathan. An Urban Haat is being made at the cost of Rs 17 crore for providing a market for the products of Sakhi Mandal, he said. Das said that girls between 14-24 age groups would be strengthened with the help of World Bank under Tejaswini Yojana, adding they will be given Anaphoric Siksha (informal education) to inspire whole teaching and skill centers will be developed as required. The groups of girls will be organized, and one Tejaswini Club will be made for every two Aanganbari centers. After completing education and training, the beneficiaries will be transferred Rs 10,000 promotion amount in their bank account. The Rs 1400 crore Johar scheme focuses on strengthening the rural economy. The government will provide funds for cottage and small scale industries under this plan, he said. The chief minister said three lakh women have been given gas connections and ovens under Ujjawala scheme. In the next three to four years, all 23 lakh BPL families will be provided gas connection, he said. The government wants to prepare 4,80,000 women entrepreneurs and strengthen them. Newspapers and periodicals focusing on SHGs works and news will be published for the women, and the members of Sakhi Mandals will be reporters, Das said. Earlier, on the occasion of International Women’s Day, Jharkhand Governor Draupadi Murmu today inaugurated ‘Aajivika Mahila Mahasammelan’ at Jawahar Stadium Sector-3 here. “Now the time has come when women should be made economically stable, and government and society should work together to ensure this. She appealed to members of Aajivika Mahila Mahasammelan and SHGs to make people aware about the schemes of the government and be a partner in the development of the nation,” she said.